Digging this shot of Ms Tran. I’m really hoping she has a more substantial, adult roll in this. She looks great here and appears to have a more important roll in-universe. Glad they did something different with her hair, she looks like a different person in this photo. And it’s fitting that you should use the term “adult”, as I thought her character in TLJ did come off as somewhat puerile. I was fine with Rose in The Last Jedi. I think making her character act more mature is good, as it shows character growth and maturity. She was already pretty mature in her own way in TLJ, but there was certainly a level of innocence and inexperience to her character. She went through a lot in TLJ and it’ll be interesting to see what her place in the Resistance is now (considering she started out as just an engineer). 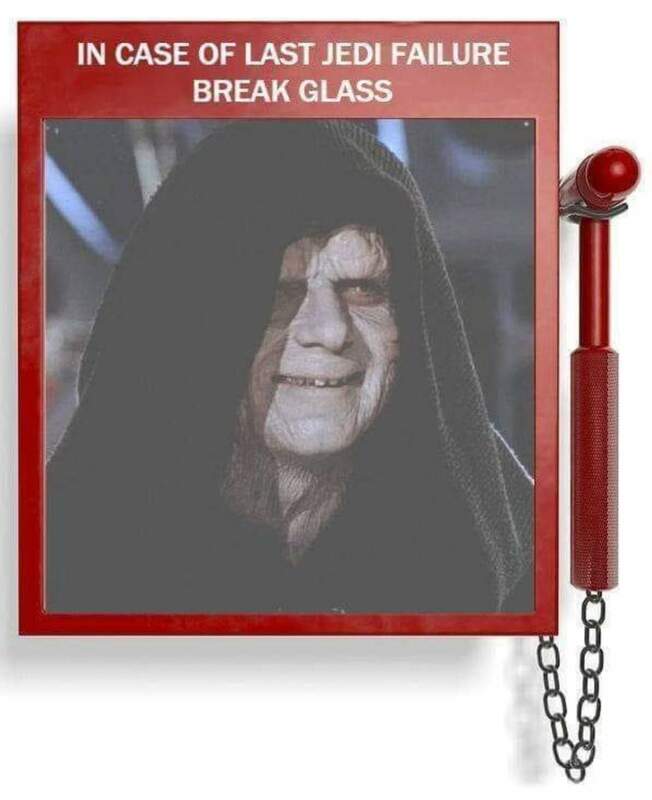 I do hope that Palpatine’s return is written really well for people to accept his return and role in The Rise of Skywalker. As someone who generally does not like fan service, I do trust Lucasfilm with what they’ve been doing with the sequel trilogy. I think the significance of Palpatine is greatly overstated. It’s possible that he’s just be part of a Sith artifact macguffin that’s in the Death Star wreckage. I have to say if they’re legit bring Palpatine back to life, on the face of it that’s a pretty lame idea. I mean maybe there’s a way to execute it that works, I don’t know. But I do like the idea of bringing back Palpatine in a non-literal/physical sense - dealing with something he left behind or something more ethereal or whatever. We’ll see I guess. Honestly what I’m really excited for from Rose is what she’ll be like under JJ’s direction. 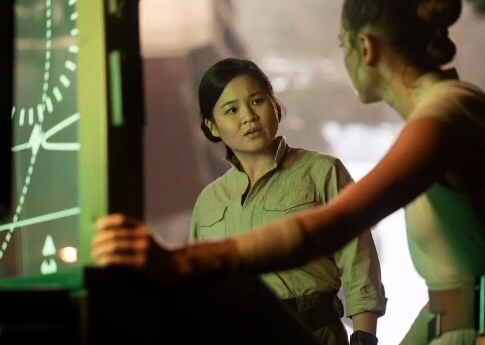 I like Rose a lot, but she doesn’t pop off the screen the same way the new characters in TFA did. In general I think Rian’s the better filmmaker, but I think JJ has the edge when it comes to establishing character and character chemistry. Having sat with it for a while and talked about it a bunch I’m coming around. I think my dislike for the title and my frustration with how light on actual content the panel was colored my perception of the rest of it. The sins of the marketing campaign are not necessarily the sins of the movie, and there’s enough to like in that trailer that of course i’m on board. If you ask me I wish they revealed less haha. I will say though I like Colbert but I don’t think he was a great host. Lot of missed opportunities for questions that wouldn’t be spoilers (instead he mostly kept doing the jokey “I’m going to ask you a question we all know you can’t answer”). Unrelated, do we know all the filming locations for IX at this point? ^Must have been an earlier version. I have to say if they’re legit bring Palpatine back to life, on the face of it that’s a pretty lame idea. But I mean the mere fact that they teased Palpatine in the trailer probably means that he won’t really be coming back to life or be playing that pivotal a role in the movie. Lucasfilm would never prematurely shoot that wad–so to speak. I agree, it might not be Palpatine in physical form… but we haven’t yet seen the Sith equivalent of a Force Ghost have we? A Sith Wraith perhaps? (SW has never been shy pinching bits and bobs from other mythology and that would be rather Sauron like). I think we can acknowledge that the Ewok movies are no longer canon, and Disney doesn’t consider them canon either. I think Palpatine would be a great addition to Episode 9. They need to tie this all into one saga, and as it stands now Episodes 7 and 8 don’t make much sense in the grand scheme of things. The Emperor will probably come back in Hologram message form or something like that. See and I was thinking the opposite. If it was a small role, they would’ve kept it a surprise like Yoda. But I figure it must be important enough that they’ve revealed it so soon, because it must be a big part of the movie and the marketing campaign. It’s kinda weird watching interviews where they just feel free to talk about him being back. Doesn’t seem like they’d be doing that unless they had too, if you know what I mean. Honestly the whole idea is really nagging at me. I have so many thoughts about it going through my head. Like how long have they planned this? You would think they just came up with it now, but it ties in very, very well with a lot of the expanded material stuff in the last few years. It actually sounds to me like something George might’ve come up with in his treatments. But then, if they had it plannned, why are there no hints at it in either TFA or TLJ? Personally I think it’s overly simplistic. The ST thus far has been telling in my mind a much more compelling story about what happens after you beat the big bad, rounding out the saga with ruminations on legacy. What happens when you destroy the sith but you realize that the dark side will always exist in some way? Simply bringing back the old big bad or having a new one is not as interesting or dramatically daring as simply asking what will these characters do in the absence of one? You know? Will Ben do the right thing anyway or will he take up that mantle himself? Where will the Skywalker legacy go now? Bringing back Palpatine just feels like a lazy way of adding stakes and bringing things full circle. Meaning, there are other ways they could do it, but this is the easy, fan-service way I guess. Which doesn’t mean it’ll be bad but on some level it’s disappointing. If you match the interior shot of the cockpit in the trailer with the cockpit image of Kylo Ren that was revealed at the panel, you’ll see how they match up. But without getting in the weeds on episode eight, that was a story that Rian wrote and was telling based on seven before we met. So he was taking the thing in another direction. So we also had to respond to Episode VIII. So our movie was not just following what we had started, it was following what we had started and then had been advanced by someone else…the lack of a complete structure for this thing, given the way it was being run was an enormous challenge…I feel like we might’ve done it. Like, I actually feel like this crazy challenge that could have been a wildly uncomfortable contortion of ideas, and a kind of shoving-in of answers and Band-Aids and bridges and things that would have felt messy. Strangely, we were sort of relentless and almost unbearably disciplined about the story and forcing ourselves to question and answer some fundamental things that at the beginning, I absolutely had no clue how we would begin to address. Maybe Kylo’s ship was another one-off prototype like Grandpa’s. and it was lost at the end of TLJ? Now that I think of it, I’m a bit dissappointed we never saw Vader in ship to ship combat in the movies again after Episode IV. I mean… obviously. I’ve already read that interview and anyway it’s not new information. I just mean it’s possible it’s an idea that’s been kicking around LFL as a possibility for awhile. JJ says there wasn’t a structure but that doesn’t means there wasn’t any idea about where things might go. It certainly seems like they’ve been setting up the possibility in other things. Like I said I wouldn’t be surprised if it was something in George’s treatments. I could see a concept image of Palpatine circa 2013 showing up in the Art of TROS book. But I would just as easily not be surprised if they just came up with it now, like I said before.